I enjoy all the comments here. i’m pondering about beginning my own blog. i’m asking yourself if it is hard to operate your own blog. I certainly enjoy commenting. many thanks Bloggers. I am based in Singapore and I am interested to find out if there are any good demand for Iphones in Cambodia. I am thinking of opening a shop in Cambodia to distribute Iphones, Ipad, Nano and also other digital imaging products as well. Please let me know what are the popular buying channels for consumers in Cambodia. yes there are pretty good demand for iPhone here in Phnom Penh. but we don’t have an accurate number of iphone user. i’m glade to hear that you wanna open iDevice shop in Cambodia. base on our info, people like to buy iphone, ipad and ipod from PHONE vendors and the most popular one at moment is Hakse “http://hakse.com.kh” however, from buying those device from vendors there are problem with warranty except for ipod that people can purchase directly from apple authorize reseller IONe “http://ione2u.com”. it is a good opportunity if you could bring in those iDevice with a standard warranty you can possibly compete with those existing firms. i hope this info would help whatever you plan to do. It’s not that simple. You yourself have seen such a thing? Interestingly for the iPhone is the analog? 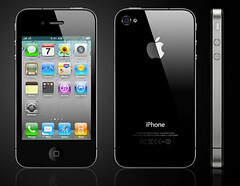 I want to know that now iphone 3gs or iphone 3g price how much ? iPhone 3G second hand price from $200 up depend on capacity of the member, and iPhone 3Gs second hand price rang from $350 up and brand new somewhere around $600.